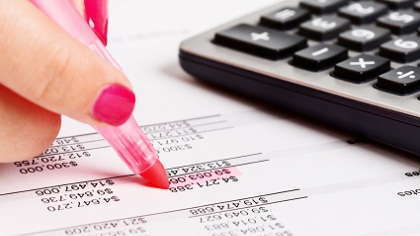 Learn common mistakes made when filing independent contractor taxes. You must file your quarterly estimated taxes on these dates. If you don't, you'll set yourself up for problems with the Internal Revenue Service (IRS). There's some confusion about filing estimated taxes. Not everyone has to file them. For example, you may be expecting a tax refund for the year, and so you wouldn't have to file estimated taxes. You only have to pay if you think that you'll owe at least $1,000 in taxes for the tax year. Filing your taxes on time is important if you want to avoid paying penalties and interest payments to the IRS. You shouldn't become fearful about your tax liabilities, and choose to not file your tax returns because of it. The price for not filing the appropriate returns is high, and you face criminal as well as financial consequences. There are ways to obtain tax relief, and you may need to hire a tax attorney for help if you're facing a huge tax bill. It's also possible to pay your tax bill in installments, which includes penalties and interest, but that should be your last resort. When you compare the cost of accounting software, to the cost of battling the IRS, there's no question that buying accounting software is worthwhile. Any of these software programs will guide you through entering your business expenses, and advice you on which you can take for tax deductions. The more deductions you can take, the less taxes you're likely to owe. One of the common independent contractor tax mistakes is not getting an agreement in the first place. Before you engage in long term contract work, sign a contract that spells out your status as an independent contractor and not as an employee. It makes a big difference in terms of the types of taxes you'll owe, whether the IRS classifies you as an employee or as an independent contractor. Don't let these common independent contractor tax mistakes ruin your finances.